George Valentin (Jean Dujardin) is the star of silent films. At the height of his career, he meets the aspiring actress Peppy Miller (Bérénice Bejo). Even though they hit it off, their paths lead them into seperate directions: Peppy is drawn to talking pictures, while George doesn’t believe that anyone would want to hear him talk. As talking pictures get more and more popular, George’s star starts to sink quickly. 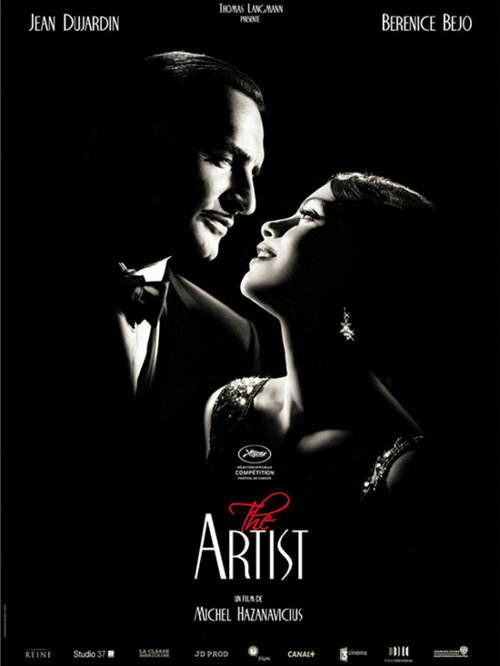 The Artist’s concept is absolutely wonderful – making a silent movie that laments the end of silent movies. And it’s a beautiful, funny, sentimental, touching and smart film which pretty much makes it perfect. T. J.’s (Devin Brochu) mother recently died and ever since he’s been lost. His father Paul (Rainn Wilson) has deeply withdrawn into his depression, his grandmother (Piper Laurie) is trying her best to take care of them, but isn’t really capable of that anymore. 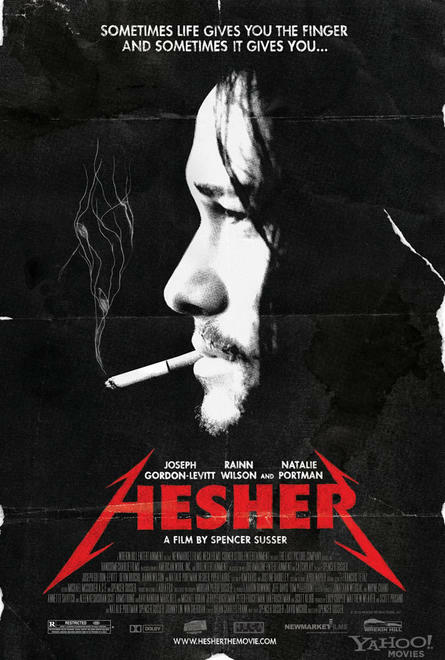 On one of T. J.’s forays into the city (which often lead him to the car wreck his mother died in), he runs into Hesher (Joseph Gordon-Levitt), a smoking, cursing, aggressive mess, who follows T. J. home and moves in with him and his family. And maybe Hesher is just what they all need. The movie wasn’t mindblowingly good, but it was nice and I enjoyed it. Admittedly, mostly for Joseph Gordon-Levitt, but also for its sense of humor. Curtis (Michael Shannon) would have a pretty good life together with his wife Samantha (Jessica Chastain) and Hannah (Tova Stewart), if it wasn’t for his nights, when he is frequently haunted by apocalyptic visions and nightmares. Fueled by these, Curtis starts to build a storm shelter for his family and himself. But what will turn out to be the storm hitting the family? 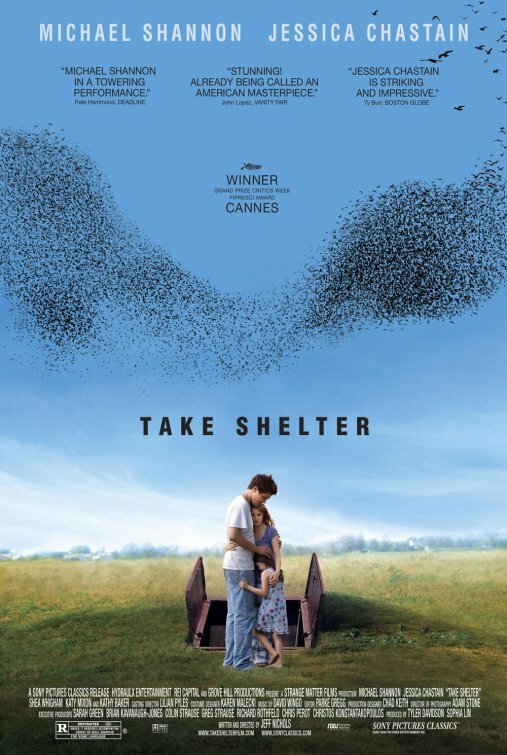 Take Shelter is a beautiful, well-acted film with a frustrating ending and a few lengths. There are definitely worse films out there. Howard Marks (Rhys Ifans) is a Welsh small-town nerd who manages to get into Oxford university. But as soon as he hits the big city, he quickly gets tangled up in drugs. 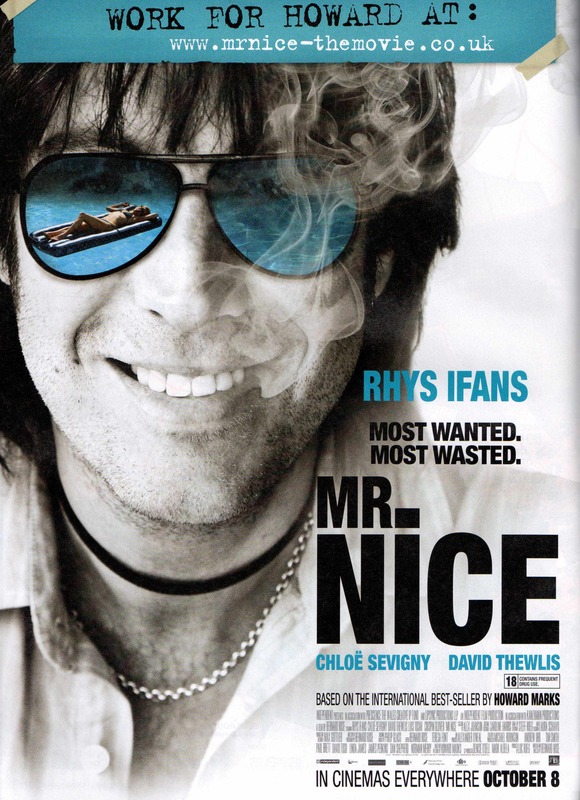 And since he doesn’t really do things half-assed, he is not content in smoking pot, but he starts his own successful drug business as Mr. Nice, together with IRA member Jim McCann (David Thewlis). But there’s only so many drugs a person can sell until the police will get involved. I have to admit that I didn’t really research this film before going in. I just saw the cast and thought that I wanted to see it. If I had known more about it, I might have been better prepared. But I don’t think that I would have enjoyed the 60s-drug-dealer-romanticism any more had I known that it was coming. 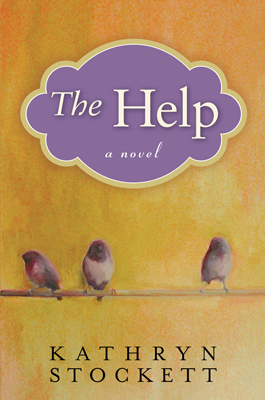 The Help is a novel by Kathryn Stockett. It was recently adapted into a film. 1960 in Jackson, Mississippi: Aibileen is a maid who is currently working for the Leefolt family, where she especially loves taking care of Mae Mobley, the Leefolts’ little girl. Her best friend is Minny who – quite contrary to Aibileen – usually gets in trouble because she won’t hold her peace. Which is not the best course of action for a maid. But when the white Skeeter looks for a maid to talk about her life, so she can write a book about it, it’s Aibilieen who jumps at the chance. It took me a bit to get into the book but when I did it was a really nice, flowing read with some great characters. Peter (Zachary Quinto) and Seth (Penn Badgley) are junior risk managers in a flagging investment bank. During a round of mass firings, their senior risk manager Eric (Stanley Tucci) is let go as well. Eric gives Peter a flash drive before he leaves and tells him to look at the things on there. Peter does and discovers a major crisis approaching. 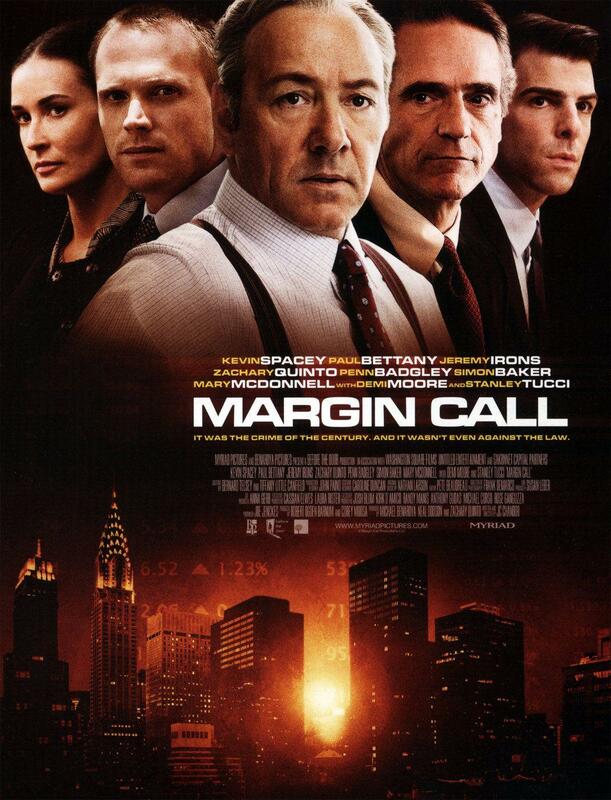 He tells his boss Will (Paul Bettany), who tells his boss Sam (Kevin Spacey) and soon the entire investment bank is struggling to get a handle on the situation. The film had an interesting and different perspective. Add that cast to it and it has all the right ingredients to be brilliant. But somehow, it just doesn’t work out that way. 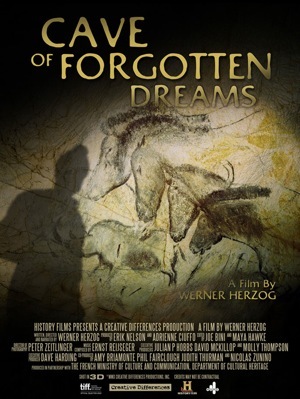 Herzog got permission to enter the Chauvet Cave in France together with a film team to document the oldest discovered cave drawings in the world. He decided to do so in 3D. I kinda thought that this film would be a lot cooler than it was. The 3D didn’t work very well. Most likely because Herzog’s sanctimonious narration made me roll my eyes so hard. A tour of the roundabouts in and around Wiener Neustadt. For a movie that consists entirely of five minutes of roundabouts, Kreis Wiener Neustadt is really very funny and entertaining. But I would have appreciated a little more care with the soundtrack, which consists entirely of the motor sound of a moped. A song would have worked wonders. Laura (Florencia Colucci) and her father (Gustavo Alonso) get hired by their old family friend Néstor (Abel Tripaldi) to clean up a remote little house Néstor owns, so that he can sell it. But when they settle down for the night to start repairs early the next day, there seems to be somebody on the upper floor of the house. And then the nightmare begins. The entire film was shot pretty much in one take*. That is a pretty cool concept. Unfortunately they forgot everything else – plot, relatable characters, making sense, … – that makes for a good movie over said concept. Ben (Francis Ng) is the producer of a radio show where people can call in to report any unusual things they have seen, any urban horror myths. One day, while TV reporter Mavis (Josie Ho) is doing a feature about the program, one caller talks about the Big Head Baby he has seen as a kid and never really gotten over. Mavis interest is aroused and she starts digging, unearthing more than she bargained for. I was really looking forward to the Soi Cheang tribute, but apart from Accident, all of the films I’ve seen by him proved to be a disappointment. I thought that this one would be the surest win, but it, too, continues the trend of meh.